Please feel free to email us ! We'll get back to you quickly. And if you'd like to join our mailing list, email us as well! 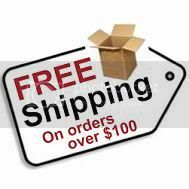 Also if you don't see something on our website or if we are out of stock online, please feel free to give us a call and we can make a special order for you and ship it out promptly. Click Here For Mapquest Directions! !